When I stumbled upon Christina's blog The Sometimes Crafter, I fell in love immediately. Her photos are beautiful, her work is amazing & she is adorable + fun. Definitely add her to your reader, if you haven't already. You don't want to miss anything she's sharing. After high school, and up until the point I found out I was pregnant...heck, up until the point I delivered, I knew I never wanted kids. It's not that I didn't like kids, it's just that I was realistic about the responsibilities and struggles with raising them. I valued my personal time greatly, and to have to share it with a child was more than I thought I could handle. At least I knew I was selfish. 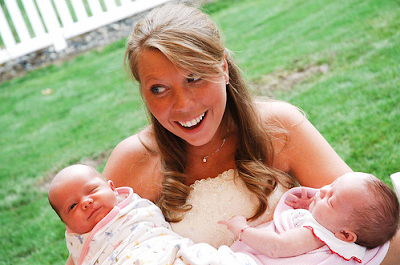 Well, all that changed when I found out I was pregnant, one month after my wedding. My best friend called me while I was on a road trip with my mom to tell me she was pregnant and that I'd better take a test (we're that much alike). When I got home, my husband and I met her and her husband for dinner and she handed me a pregnancy test to take. And wouldn't you know, it was positive! My son was a big surprise, and it took me all 9 months of my pregnancy to adjust to the idea of being a mom and sharing my day to day with a little one. My pregnancy was not easy. I was stuck in bed for the first three and a half months. Ice tea was about the only thing I could drink and forget eating - I lost 10 pounds! 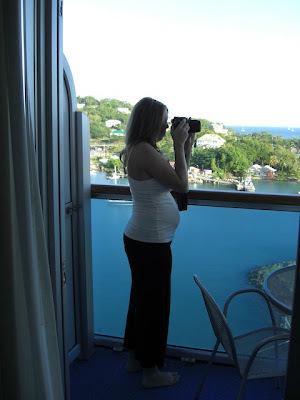 Luckily, just in time for our "baby-moon" cruise, I began to feel better and was able to enjoy our cruise. And even better, I felt our little guy kick for the first time on that cruise. I will never forget sitting in bed one night, doing a crossword puzzle and feeling this fluttering movement. I pretty much knew what it was and felt him move constantly the rest of the trip. I think that was my first realization that it was real. But, it still didn't get easy. Shortly after that I developed depression. I had never been depressed in my life. 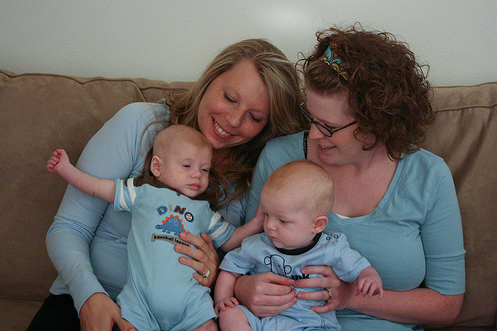 It was the most awful thing to have to endure during a pregnancy I thought I didn't want. I had bed rest the last 4 months of my pregnancy and had to be monitored weekly for my high blood pressure. 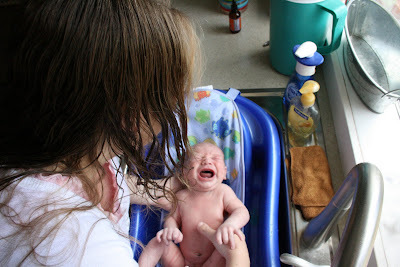 My deliver was easy, but the two epidurals (and one crash cart) were not. I think everything about my pregnancy was jinxed. But nothing about my boy is. He is definitely a handful, every bit as much work as I expected (and sometimes more), but I wouldn't trade being his mom for anything in the world. I went from someone that didn't want kids, to someone that couldn't imagine not being one. It is every bit as rewarding (and hard) as they say and I'm so glad we had our "Oops!". I miss him when he naps for too long, or if he goes to bed and I stay up late. We are hardly without each other and after a few hours I miss him and just want to head home if I'm out. I never thought I could love someone as much as I love him. This is only my second "official" Mother's Day, but it feels like I've already had a lifetime of them with him in my life. Will there be more babies? I think so. Maybe. Just one. Well...we'll see. Thanks for sharing, Christina. You are a super momma & a super crafter. :) You've got mad quilting skills for sure!